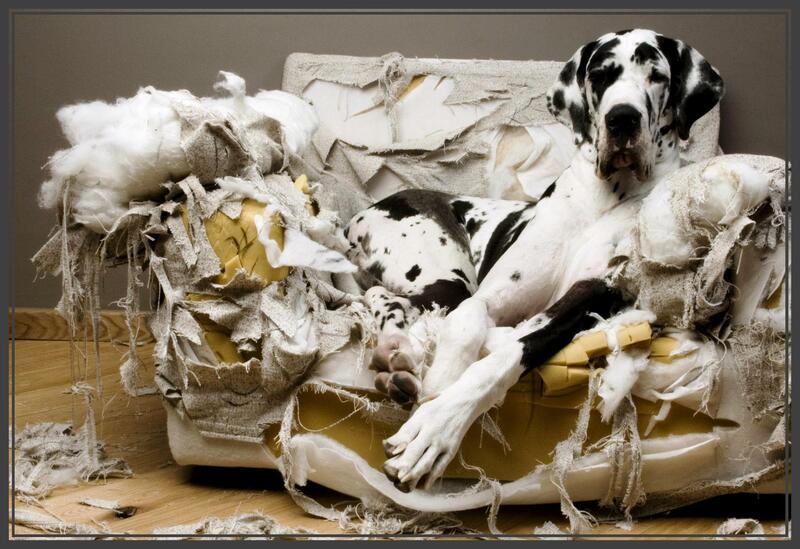 Are you worried about coming home to torn up furniture? Are you unable to walk your dog without a pinch collar? Is your dog dragging you around the neighborhood instead of you walking your dog? Is your dog jumping up to greet people, including jumping up on your small children? Does your dog suffer from phobias or depression? Is your dog agressive towards other dogs or people? Is your best friend simply too much dog for you or your family to handle? Hundreds of thousands of dogs have been turned into animal shelters because their owners didn’t know how to deal with behavior problems and couldn’t find a reliable resource to help them. The dog trainers at Pet Galaxy want to bring awareness to the importance of socialization and training of your dog or puppy, and most of all, to inform dog owners that training your dog can be simple and fun! Perhaps your furry friend is already wonderful, but is just a little stubborn. Perhaps he or she doesn’t come when you call, refuses to sit or lay down when you tell him to, or pulls on the leash when you go for walks. Or perhaps your dog goes crazy and chews up your furniture every day when you leave for work. Or maybe you have one of those really problematic dogs that just drive you and your family crazy. Either way, our desire is to help you transform your dog into the most wonderful, well trained pet and member of your family. Our most effective and popular training program is our Lodge and Learn program, where your dog will stay with us for an average of about two weeks. Our trainers will work with your dog in multiple one-on-one sessions every day. Once the trainers feel that your dog is ready to go home, we bring you in – and the trainers will work with you, teaching you how to continue the training at home, so your dog does not just fall back into old habits again after you get home. You are also encouraged to keep in touch with the trainers and ask questions at any time after you take your dog back home. This program is guaranteed to give you the best results, and there is a one-time, all inclusive flat rate for the entire program. Our trainers are fully certified professionals and members of the Association of Pet Dog Trainers (APDT). Obedience training is an important and critical part of responsible dog ownership and the early development of your family pet. Obedience training techniques lay the foundation for a well behaved and well adjusted dog, which has no trouble participating in family life at home, and is equally at ease in the presence of others. The lack of proper obedience training can put your family pet at risk. A dog that hasn't been trained to obey commands can end up as a nuisance to neighbors, a threat to people in the street, and a danger to other dogs that he runs into at the dog park. A dog that has been trained to obey through obedience training techniques is more confident and self assured. You will be more confident having him in the house, and out in the company of others. Obedience training has been found to be very stimulating to a dog mentally, and leads to a happier and well adjusted dog all round. Use positive reinforcement for desirable behaviors. When the behavior is undesirable, make use of proper corrective methods. Make sure you don't ignore any kind of behavior, whether desirable or undesirable. It causes confusion if you don't follow a sign of progress with a reward or words of praise, or if you ignore undesirable behaviors. Timing is of the utmost importance in dog training. Don't wait to correct him; ensure he makes the connection between his bad behavior and your correction immediately. Having a pet dog is not only about feeding him a healthy diet, exercising him and taking care of his other basic needs. A dog needs to be mentally challenged, and trained to be an enjoyable, well adjusted member of your family. 1. Obedience and Control over your dog. 2. Strengthens the bond between the dog and the owner. 3. Relieves boredom in your dog. 4. Deals with behavior issues. 5. Helps build your dog’s self-confidence and mold it into a wonderful companion. 6. Helps develop the socialization skills that are so important in well-behaved dogs. 7. Helps provide the proper amount of exercise required to maintain proper mental and physical health in your dog. Call us today to customize your dog’s personalized training program! The Pet Galaxy Name and Logo are Registered Trademarks of Pet Galaxy, Inc.